ShutterstockNordstrom is no longer locking its fitting rooms. Also, since the fitting room doors automatically locked when closed, if customers briefly left the room for any reason – such as to grab another size of an item – they would be locked out. 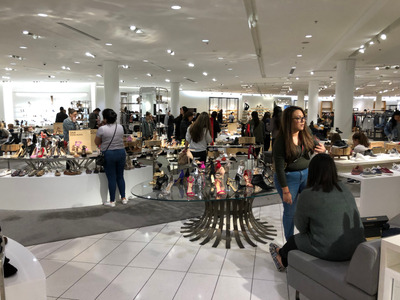 The new policy is one of many changes that Nordstrom has been making in its stores to boost sales and shopper traffic. The company has also been remodeling its stores to feature a more open layout and plans to open men’s-only and women’s only stores in the next year.